If it hadn’t been for The Rock’s involvement, I don’t think I would have had much interest in San Andreas. I’ve always enjoyed disaster movies but the genre as a whole is starting to feel more than a little stale. However, I don’t think I’ll ever get tired of seeing The Rock in movies and his presence was more than enough to pull me in. And once I was in the door, the movie didn’t let up – exactly as I had hoped. 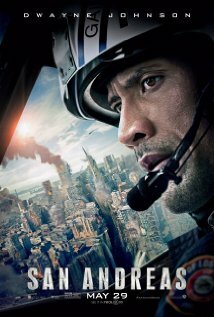 Ray (Dwayne “The Rock” Johnson) makes his living saving peoples’ lives as a rescue helicopter pilot. His own life however seems to be in rough shape with his separation from his wife Emma (Carla Gugino) moving towards divorce (it doesn’t help that she’s getting serious with her boyfriend [Ioan Gruffudd]) and his daughter Blake (Alexandra Daddario) moving away for college. But when a catastrophic chain of earthquakes predicted by a Caltech seismologist (Paul Giamatti) hits the San Andreas fault, Ray has to put his considerable skills and expertise in use to save his family from calamity. No one should go into San Andreas hoping for anything other than incredible/devastating destruction, insane action and some eye candy (for guys and girls [The Rock is indisputably eye candy]). On those three most important of fronts, San Andreas delivers the goods. San Andreas is not the kind of movie that could have survived without excellent visual/special effects and, fortunately, it delivered them in spades. The scale and breadth of the destruction was magnificent and I can’t help but wonder what the cost projections would be for the damage wrought (the damage here dwarfed what was done in Chicago in Transformers: Dark of the Moon [excluding the damage to film/humanity done by that movie’s existence]). There was something beautiful about this disaster and, while it’s hopefully something we’ll never see in reality, it was hard to not be in awe of the spectacle. The movie was constantly exciting and engaging enough for the audience to mostly ignore how improbable (read: impossible) some of the circumstances and feats really were, which is all you can really ask for from a movie like this. The action was paced well, with the myriad terrifying, heart-pounding action sequences broken up with enough semi-peaceful moments to let the audience breathe and settle down before being thrown back into the chaos. The filmmakers masterfully escalated the action sequences, keeping the audience constantly on edge and guessing what new and crazier problems would be thrown at the hapless characters. This escalation did end up being a double-edged sword on a couple occasions, seemingly setting the audience up for bigger moments/payoffs that never actually came. Fortunately, those moments were infrequent. The performances were Rock solid (eh) all the way around. The Rock displayed the action hero traits he’s developed a reputation for but also had the opportunity to demonstrate that he’s more than a real-life Hulk with a few strong, heart-wrenching moments. Carla Gugino makes the most of the few chances she has to really shine, but it feels like too much of her performance was reduced to finding new ways to express admiration for The Rock’s heroics. Actually, the brunt of the strong-female-character duties fell upon Alexandra Daddario, who convincingly portrays Blake, a smart, tough and resourceful young woman. Paul Giamatti is appropriately frantic and sincere as the Caltech seismologist trying to warn the West Coast about its impending doom. Hugo Johnstone-Burt charms as Ben, who first finds himself rescuing Blake and then following her lead to survival, and Art Parkinson ably plays Ollie, Ben’s wiser-than-his-years little brother. The rest of the supporting cast gets the job done without complaint (and keep an eye out for a cameo from Australian singer Kylie Minogue [not sure why she’s in this movie]). 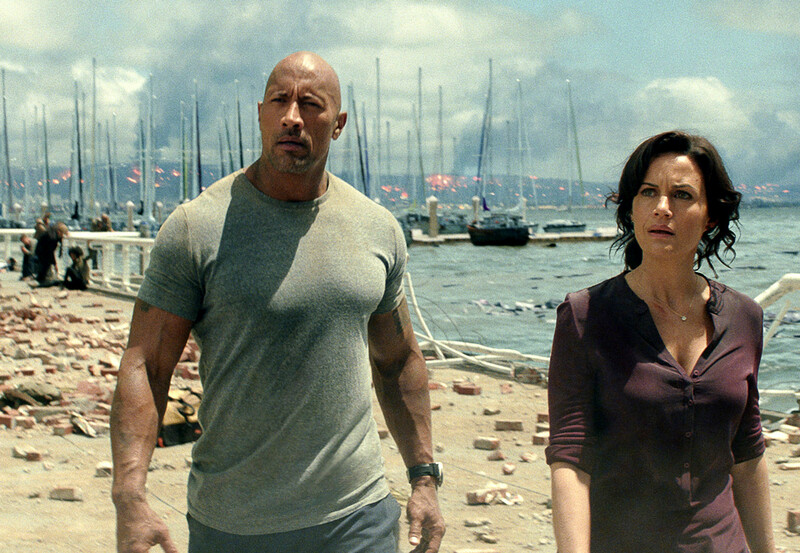 When all’s said and done, San Andreas is a respectable entry to a growing catalog of disaster movies (surprisingly, Roland Emmerich was not involved… although Toby [no relation] was). It doesn’t bring anything particularly new to the genre but it also hits the major notes a motivated viewer would look for. Considering how troublingly frequently movies fail to accomplish even this feat, it’s hard not to be pleased with the experience that San Andreas offers. Suspend your (justified) disbelief and just let the spectacle wash over you.